For example handle the form then follow the steps below. In line 15, done loading the url helper and form as well. 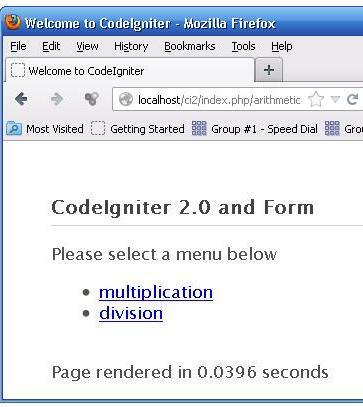 Loading is done the constructor function as both helpers are used on all functions and views that exist. In the index function only contains a call to view. View will contain the menus will hang directing the user to perform multiplication or division. In multiplication and division functions will do the multiplication or division. At the function, variables derived from the view will be captured using post function (means sent by POST method). After creating a controller then we will make a view which is the interface of the application. The following code is a view ‘count_menus’. This view contains the navigation to function multiplication and division. Note the line 67 and the 69, it is an example of the use of helper. Anchor function aims to make a link to a specific page. Here is a view from the view above if called. After a further count menu makes the view to multiplication and division. The view of multiplication is as follows. 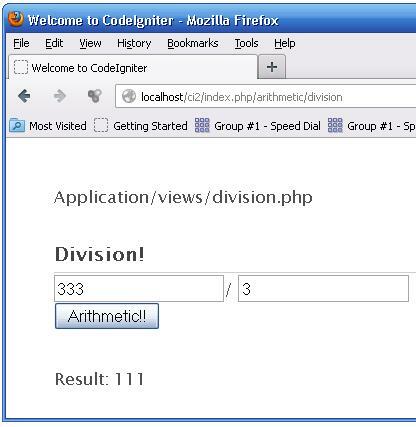 Actually, come to the second stage of the above we have been able to make an application multiplication and division simple, but a good application should have a control over user input. Validation is essential in the application form. An application will have a lot of input from the users and all user input to be safe. 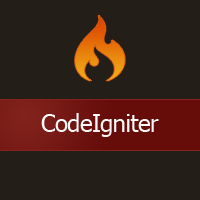 CodeIgniter Form Validation library has a Library that will help us to create a validation quick, easy and safe. 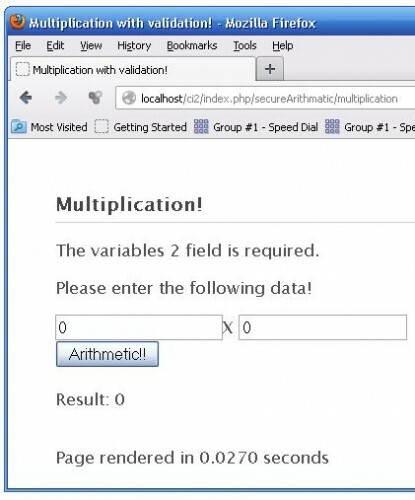 In the example of form validation is similar to the 2 steps above, but has a slight increase in especially in multiplication and division functions. Consider the following arithmetic controller (The following controller is derived from the previous example with the addition). min_length: Input length must have a minimum number of characters, for example max_length  means Input length cannot be longer than 12 characters. exact_length: Input length must be equal to the number of characters you want; exact_length example  denotes input length must be equal to 8 characters. alpha_numeric: Input must contain alphabetic and numeric characters. alpha_dash: Input should contain all letters of the alphabet from az, underscores or dashes. numeric: input should only contain numbers / letters numeric. 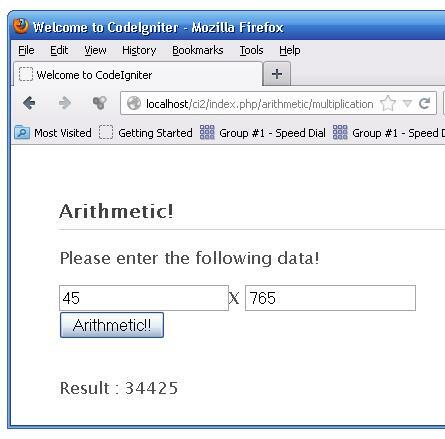 integer: Input integer can only contain integer numbers only. is_natural: input may only contain only natural numbers: 0, 1, 2, 3, and so on. is_natural_no_zeros: Input only contain natural numbers except zero: 1,2,3, and so on. valid_email: Input must contain the correct email format. valid_emails: Input must contain the correct email format limit by commas if more than one emails address. valid_id: Input must contain the correct IP format. Valid_base64: Input must contain the correct format base64 characters. At line 33 and 63, we did check on some rules that have been set ($ this-> form_validation-> run ()). In the view, we simply add a function that allows you to display the error. Note the line 38. validations_error function is a function to display an error from the validation performed. view of the above will give as figure 5 below. If You cast to int why there is xss = true? 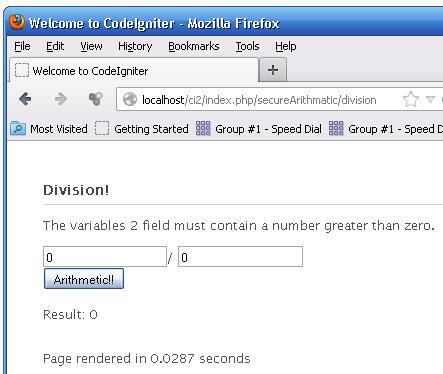 validate integer, filter xss on interger, cast to integer. This Tutotial is Realy very nice.It clears all my difficulties. This tutorial was really helpful for beginners to understand work on this framework simply awesome.